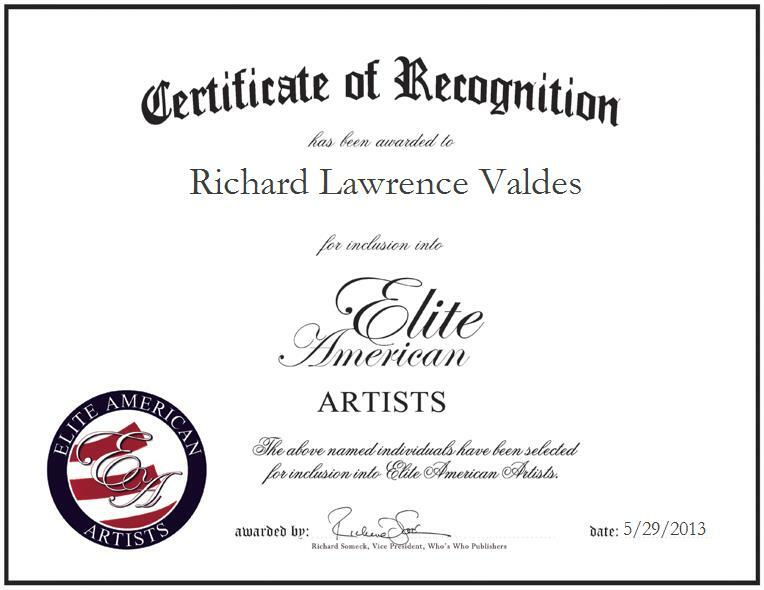 Richard Lawrence Valdes is an Artist and Poet hailing from Miami, Florida. After having faced adversity throughout his childhood, he forged new grounds as a versifier and painter. Through his struggles, he found an escape in writing and creating and soon developed a niche in the field. His creativity and ability to help people enjoy their surroundings soon led to a career in landscaping. Through his education and hard work, he was able to achieve goals he might not otherwise have. He offers hard work, vision, passion and dedication to his work. He also works in the emergency services department for the City of Miami. Mr. Valdes’ versatility enables him to handle a wide variety of challenges and responsibilities. As Time passes, pondering on the idea if one taps at a door of a fellow; for the doorway into the soul is to reach deep within heart and say ‘Hello’ for you never know, happiness awaits by not saying NO. As Time passes, wondering in a zone and not wanting to be alone; in hearing a whisper of a song that nothing is wrong; for you never know, the sounds of joy awaits by not saying NO. As Time passes, meditating in a dance where life can be full of romance; by walking in the path of fondness, rather than talking in bondness; for you never know, tenderness awaits by not saying NO. As Time passes, turning over in your mind, and only wanting to be kind; in a scene of an ocean sea can one find in what eyes can see; for you never know, a warm sight awaits by not saying NO. As Time passes, in rapping a song and not wanting it to be long; in saying a mellow ‘Hello’ within the heart to a fellow in part for you never know, in sharing Good will to all by not saying NO.